With kind permission from Johan Sellén, featured in Elle Interiör via DecorDots. I've actually just ordered two workmen's stools from this fab online vintage shop and patiently (read: anxiously awaiting) their arrival, I can't wait! Perhaps the next item on my list will be a workmen's bench for the end of the bed. Any ideas you're looking to steal? Really liking this apartment! I think it's really nice to have the books in the living room to add color - I'm scouting for a nice low cabinet to have in my living room to display books and pictures that have been in storage since we moved in a year ago! We recently stayed in a little B&B that had 2 miniature workman benches in the bathroom and I fell hard for them! I have been trawling antique and vintage stores ever since so of course I stalked the link you posted. I love this house, the white floors and that beautiful sofa really stood out for me. 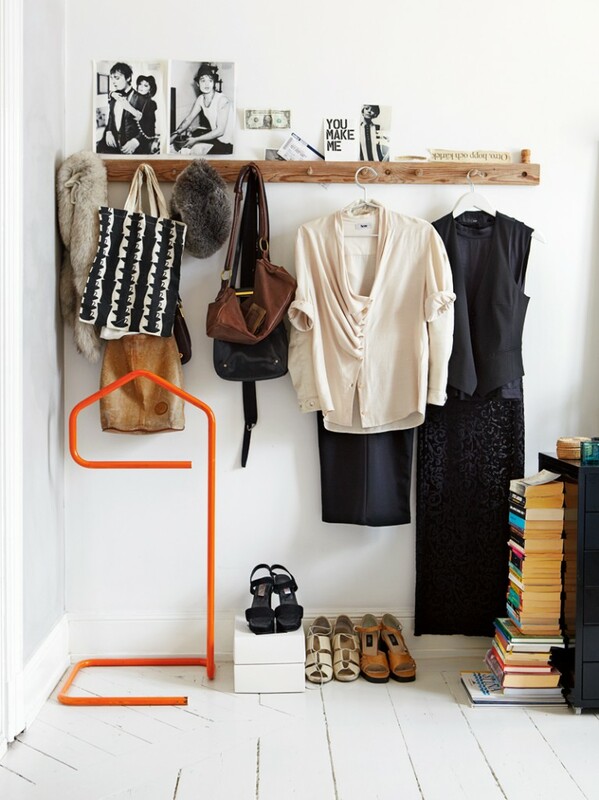 I love that orange coat hanger thingy...very lovely! I love the vintage shop! Would like to buy a lot from there. Take care Niki! Oh, I really like the books on the floor. We used to have stacks of them under a console table in our old apartment because we didn't have enough shelves and then we ended up liking the look of it. 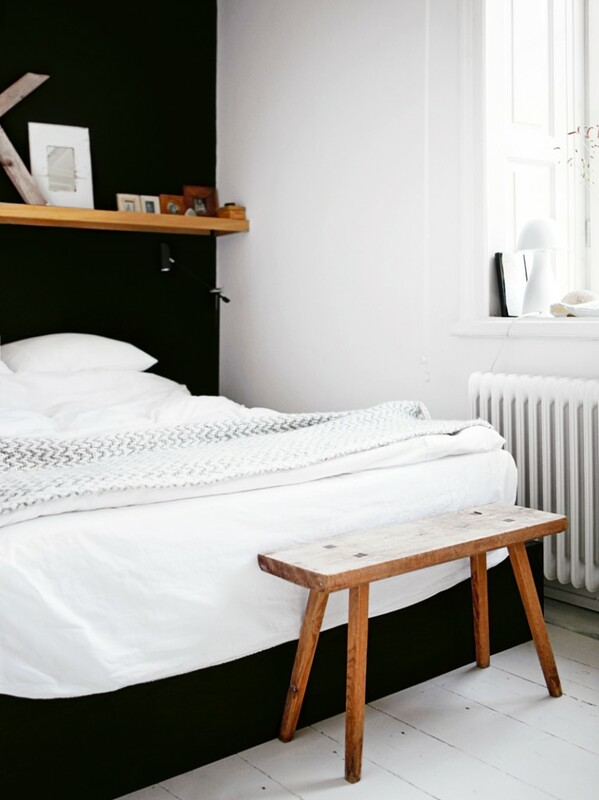 Whatever homes you feature on your blog I always love them. i adore books stacked on the floor, before i had my twins this was something i did - doesn't work so well now. but i just love the quality it gives to both the books and the space. i love me a stack of books! beautiful light! 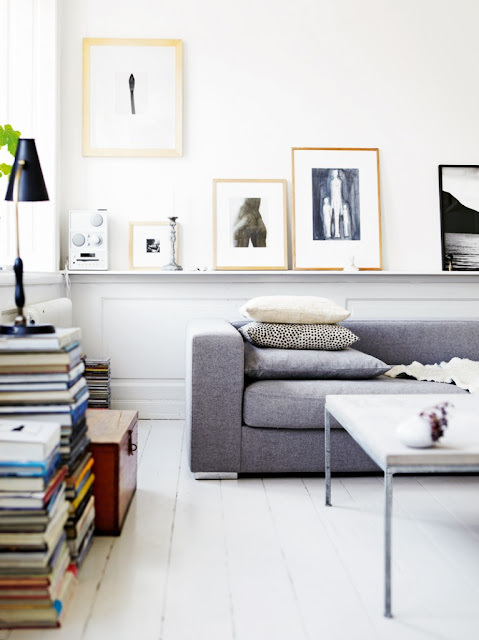 I really like the books on the floor.I love everything about this home!